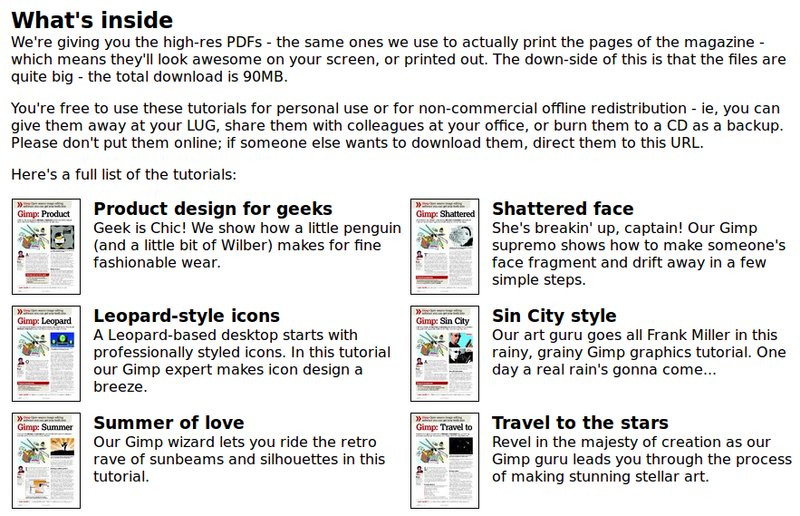 Tuxradar is giving you high resolution GIMP tutorial PDFs which means they'll look awesome on your screen, or printed out. The down-side of this is that the files are quite big - the total download is 90MB. 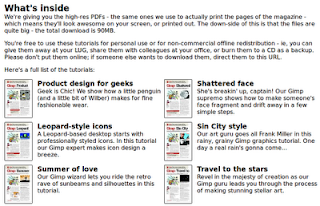 This collection contains 18 tutorials and you're free to use these tutorials for personal use or for non-commercial offline redistribution.